The Big Wobble: Spectacular! 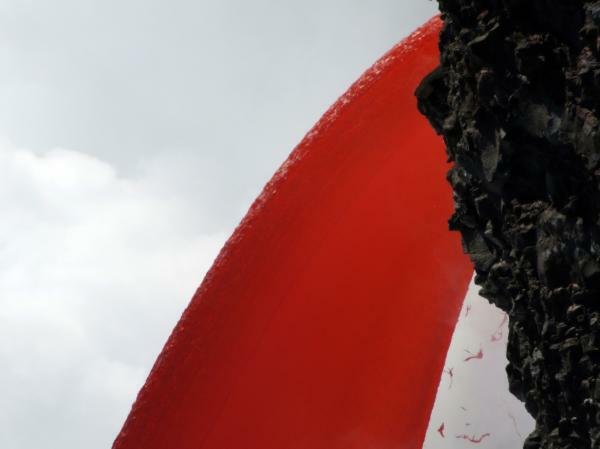 'Firehose' of lava flows from Kilauea volcano Hawaii spectacular pictures and videos! Spectacular! 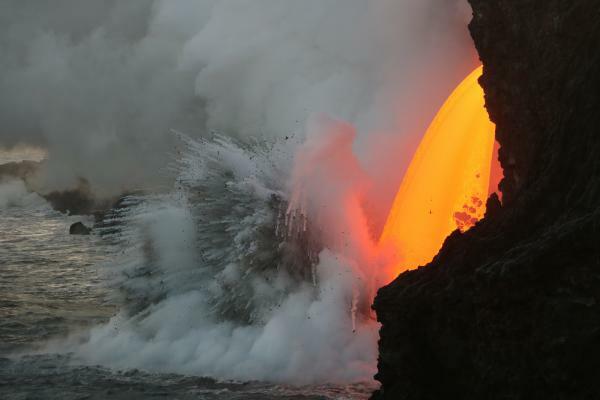 'Firehose' of lava flows from Kilauea volcano Hawaii spectacular pictures and videos! It’s been a spectacular week for volcano eruptions with Mount Etna, Costa Rica’s Turrialba, an underwater eruption near Tonga in the Pacific Ocean and now the Kilauea Volcano in Hawaii, with spectacular images and video! Researchers from the USGS’s Hawaiian Volcano Observatory captured dramatic footage showing a ‘fire hose’ of lava flowing from the Kilauea Volcano and into the sea. The lava stream, pouring out of the lava tube on the sea cliff at the Kamokuna ocean entry, continues and was similar to yesterday. The stream appeared wider (as viewed from this angle) today compared to yesterday, and often had holes in the thin sheet. The entry was still producing small, pulsating littoral explosions. 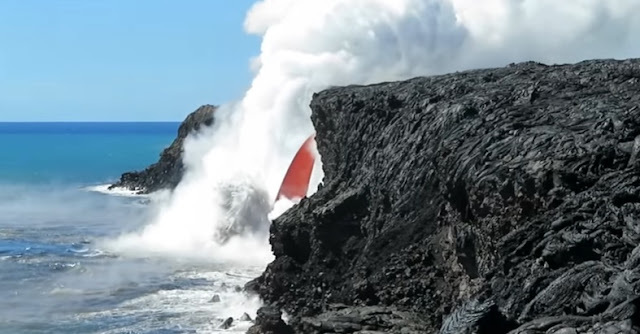 The video also captures littoral explosions as the super-hot lava makes contact with the cold sea water at the Kamokuna lava tube. 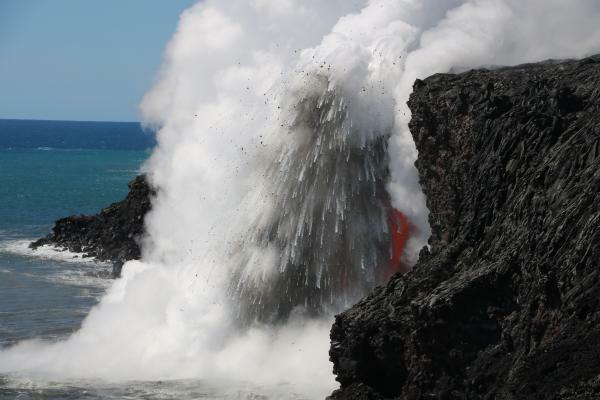 At Kīlauea's ocean entry on Jan. 28 and 29, the interaction of molten lava flowing into cool seawater caused pulsating littoral explosions that threw spatter (fragments of molten lava) high into the air. Some of these incandescent clasts fell on top of the sea cliff behind the ocean entry, forming a small spatter cone. During one exceptionally large burst, spatter was thrown about twice the height of the sea cliff. These ocean entry littoral explosions, both large and small, create hazardous conditions on land and at sea. A close up of the stream near the spot where it exits the tube. This view was only possible with a very high magnification lens. I just got back from my bucket list trip to the Big Island to see lava up close and personal. It was 200.00 to take an early morning boat ride to see this and it was worth every penny! Our skipper backed us up to within 200 feet in 150 degree water so I could feel the intense heat on my face. The one thing that can't be experienced is the heavy "thumping" under you like dropping a white-hot charcoal brickets into a bucket of water only thousands of times more powerful. This thumping is followed by pulsating littoral explosions,similar to what you see in the movies of depth charges. Definitely a must-see for anyone!